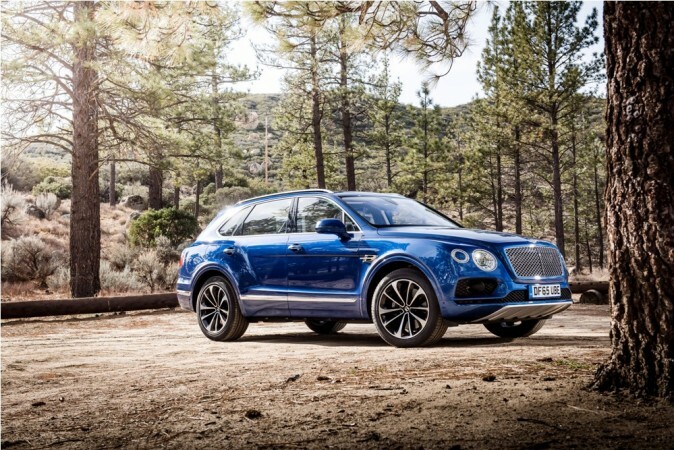 Bentley launched the Bentayga SUV for Rs. 3.85 crore in India. British luxury car-maker Bentley, which launched its first SUV, the Bentayga, in India for Rs. 3.85 crore, ex-showroom Delhi, seems to have got encouraging response. According to latest reports, the company has received over 100 bookings for the SUV from the country so far. International Business Times, India had reported in December that the company had started pre-booking of the SUV. A report in Autocar professional says company will start delivery of the SUV in the country in two weeks. Bentley has allocated only 20 Bentaygas to India this year. Each customer will have to wait for five months to get delivery of the SUV as each unit is handcrafted at the Crewe facility in England. The company claims the Bentayga is the fastest, most powerful, luxurious and exclusive SUV in the world. The SUV is powered by an all-new twin-turbocharged 6.0-litre W12 TSI engine that develops 600bhp at 5,000 to 6,000 rpm and a mammoth 900Nm of torque from 1,350 to 4,500 rpm, mated to ZF eight-speed automatic transmission. The SUV sprints from standstill to 100kmph in 4.1 seconds before hitting a top speed of 301kmph. The Bentayga is based on the VW Group's new MLB-Evo platform, which also underpins the new-generation Audi Q7. The new SUV measures 5,140mm in length, 2,224mm in width and 1,742mm in height. It comes with a 2,995mm wheelbase and a kerb weight of 2,440kg. Bentley Motors has plans to sell 2,600 units of Bentaygas in 2016. At present, the car-maker has 200 dealerships in 55 countries. The sales in India will be via the Delhi and Mumbai dealerships while a third is coming up in Hyderabad within the next two months.